Revisiting all these illustrations has reminded me that I have some characters I haven't yet done portraits for, I really need to get on that. Especially my character in Horsenhero's L5R game and my current Eberron character. Bring them on. You're so good, I can almost ignore the eye candy and look at the little details. You know...you're pretty darn, spankin' good. Maybe I should have you talk to my editor and do some illustrations for the cast of the "Cavalry: Take 2" stories that are here on ATT. You did, to quote R-Dime, A bomb-@$$ job on the original team. 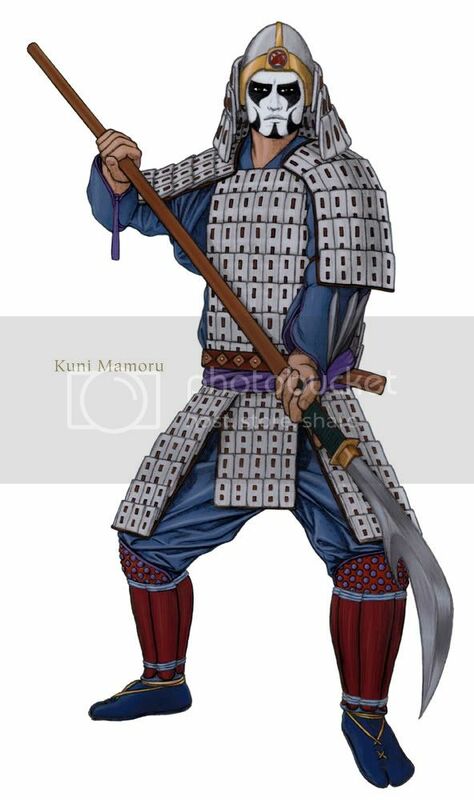 Another character that met a bad end, Kuni Mamoru, a Crab Clan Witch Hunter, and yojimbo to Kitsu Karasu. And founder of Rokugan's first KISS covers band. 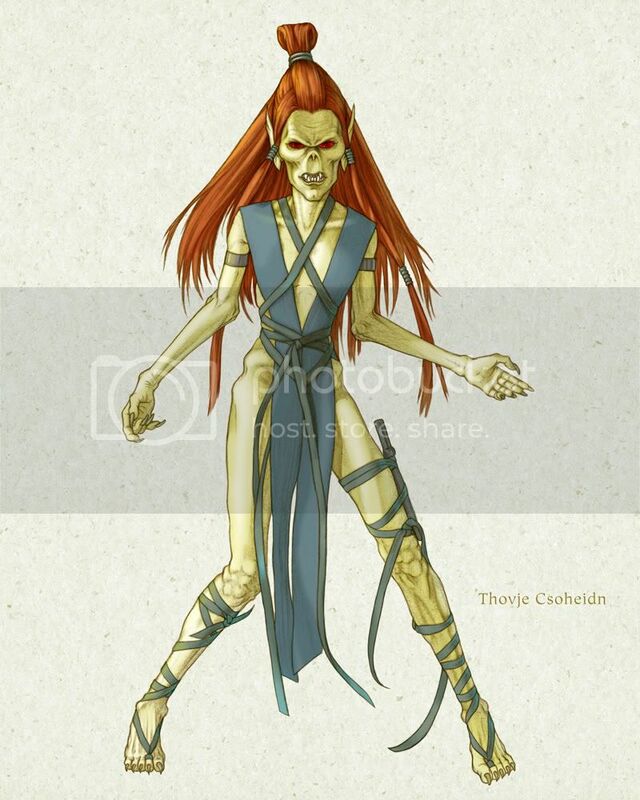 And now for something completely different: Thovje Csoheidn, a githyanki raised by githzerai, who chose the path of the Lurk (psionic rogue) in a Planescape campaign. Whoa. I'm no artist, but I'm sure it takes a hell of a lot of skill to make such an inhuman face so expressively human. That sums it up pretty much.. I love your art, great work! Thanks for your responses everyone, sorry I've been so AWOL lately. Life's been busy. I haven't even had time for real illustrations, so I've had to create quick-and-dirty Photoshop composites for my character illustrations. They will serve as references for real illustrations at some point, but for now they'll have to do. Here's my latest one, of my character Mahaelis Kreigen, a 4E tiefling wizard in a Forgotten Realms campaign. Ha! And I didn't even have to resort to real pestering! So cool. Awesome !!! I enjoy them , great work ! That tiefling is very pretty and rather creepy - I suspect your illistration is therefore spot-on Siansonea! Ah, it's been so long since you've posted any new pics Siansonea...is the advertising game really consuming that much of your life? This has been a less than subtle hint.